Located in the No.1 building first floor, occupied 1000㎡, can accommodate more than 600 people meeting, a movable partition, which can be divided into North and south halls .European style decoration, luxurious, spacious atmosphere, supporting the top audio, lighting facilities for international, receive a variety of high-level meetings. Located in the No.1 building first floor, occupied 319 ㎡, South is the sea, great scenery, simple European style, luxurious and elegant decoration, can be divided into three parts, can accommodate 200 people's meeting. 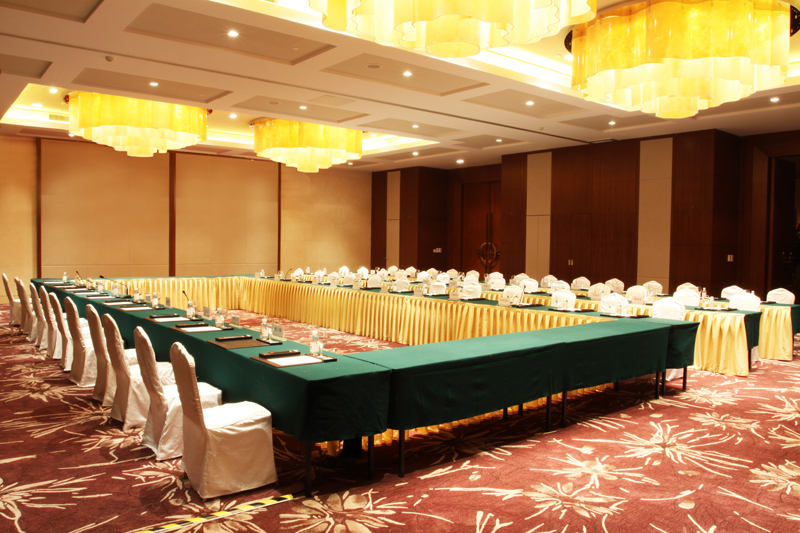 Located in the No.1 building first floor, the hall area of 270 square meters, South is the sea, great scenery, simple European style, luxurious and elegant decoration, Can be divided into two parts, can accommodate 200 people's meeting. Suitable for high specifications meeting. 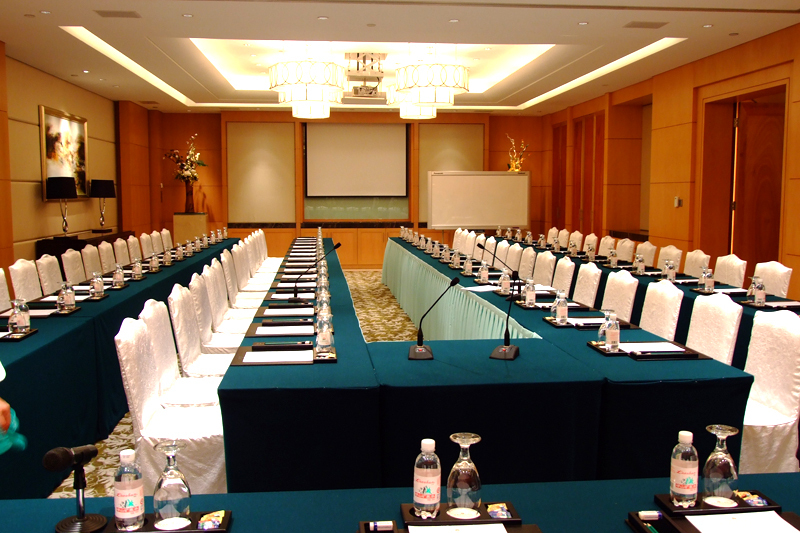 The hotel has 6 rooms of various types of from 100 to 300 square meters of small and medium-sized conference, the most distinctive is the 12 meeting in the Executive business lounge room, projection, curtains and other facilities Goods are available in all varieties., can get the invincible sea view.